Coach Katie’s water polo career began in high school and continued in college, where she played four years on the University of Massachusetts varsity team. Formerly referred to as “Georgia” by her college teammates, Katie’s experience and skill makes her a fearless leader of our band of athletes. 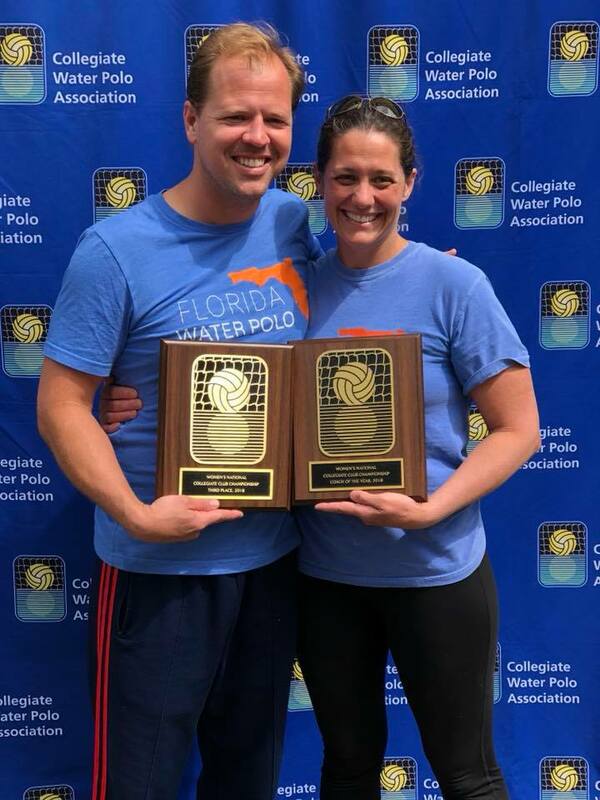 With over ten years with the Gators, Katie has been awarded numerous accolades, including UF Sports Coach of the Year and CWPA Coach of the Year. Coach Tim serves as the Gators’ primary goalie coach. He also started playing in high school, and continued his career with the Gainesville masters team. In addition to coaching, Tim owns and operates Gainesville’s locally-roasted coffee company, Opus. Fun fact: Tim operates the team’s Twitter account!